TriNyte™ Corrosion Control System. Sure stainless steel is durable. Still, it can contain trace amounts of carbon which, under harsh conditions, can quickly cause rust and corrosion. Remington's TriNyte Corrosion Control System provides an extra level of protection by encasing the rugged stainless steel barreled action with a multilayer armor-tough coating consisting of electroless nickel and zirconium nitride. Although armor-like in toughness, the TriNyte Corrosion Control System is not armor like in appearance. Advanced technologies such as Physical Vapor Depositon (PVD) coatings mean that the TriNyte Corrosion Control System is only a fraction of a human hair in thickness, resulting in a weather-defying toughness with an ultra-sleek finish. There's no question we feel the TriNyte Corrosion Control System makes this the toughest rifle in the field today, but don't just take our word for it. In controlled laboratory testing, we subjected the Model 700™ XCR, along with its competitors, to rigorous saltwater corrosion tests. 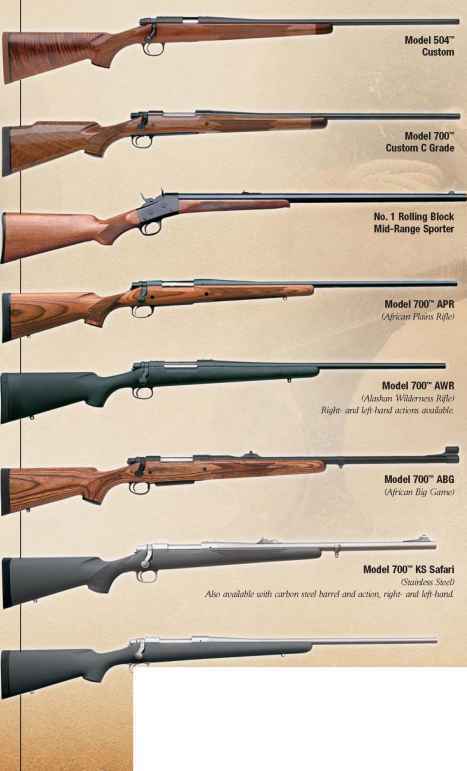 The Model 700 XCR beat the competition hands down. See the results for yourself at www.remington.com/xcr. For full caliber listings and specifications, see page 85.